Misha Glouberman's friend and collaborator, Sheila Heti, wanted her next book to be a compilation of everything Misha knew. Together, they made a list of subjects. As Misha talked, Sheila typed. He talked about games, relationships, cities, negotiation, improvisation, Casablanca, conferences, and making friends. His subjects ranged from the sublime to the ridiculous. But sometimes what had seemed trivial began to seem important—and what had seemed important began to seem less so. Misha Glouberman is a performer, facilitator, and artist who lives in Toronto. 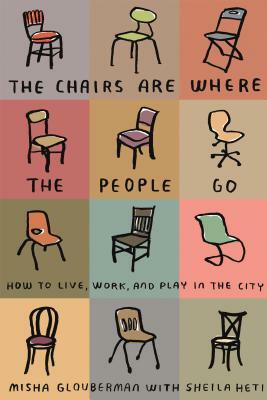 She is the author of The Chairs Are Where the People Go: How to Live, Work, and Play in the City.